Serving as a prequel to Dr. Suzanne M. Miller’s global best-selling ‘The Medical School Admissions Guide’, ‘How to be Pre-Med: A Harvard MD’s Medical School Preparation Guide for Students and Parents’ describes the pre-med route from start to finish using Dr. Miller’s Six Buckets model. The pre-med journey is easily the most competitive academic path in the U.S. The pre-med journey is easily the most competitive academic path in the U.S. Millions of undergraduate students start out as pre-med, but few make it through the difficult pre-med requirements, often because of inadequate guidance. Those who do survive the strenuous pre-med route still face an uphill battle when it comes to getting into medical school. With less than half of the 40,000 annual U.S. medical school applicants ever gaining admission, understanding how to be pre-med and gain an edge over other candidates has never been more vital. Dr. Suzanne Miller has already helped pave the way for thousands of successful applicants with her acclaimed book 'The Medical School Admissions Guide.' Today, Dr. Miller is delighted to announce the release of a prequel to her best-selling guide, ‘How to be Pre-Med’. 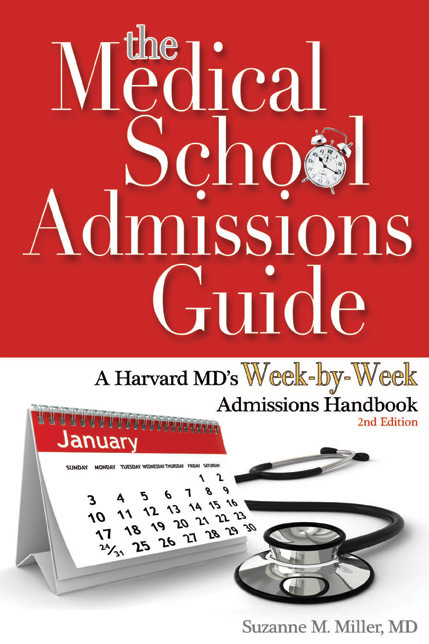 ‘How to be Pre-Med: A Harvard MD’s Medical School Preparation Guide for Students and Parents’, offers a blueprint for how to excel in the competitive, complex, and often stressful pre-med environment. Dr. Miller created the guide to be helpful at any point in the pre-med process, from a high schooler pondering pre-med studies, to a college student on the pre-med track, to a non-traditional pre-med. The guide’s information comes as a result of the author’s decade of experience as a Harvard Pre-Med tutor, admissions interviewer, and medical school admissions consultant. Dr. Miller is also a practicing emergency physician and faculty member of multiple universities. “Amidst all of the positive feedback for ‘The Medical School Admissions Guide’, which focuses specifically on the medical school admissions process, pre-meds kept asking, ‘Dr. Miller, why don’t you write a book explaining the pre-med route from the beginning?’ And so I wrote ‘How to be Pre-Med’ to serve as a starting point for anyone who wants to know how to navigate the stressful pre-med waters.” says Dr. Miller, who has now written four books on pre-med and medical admissions topics. Understanding that many pre-meds have parents hoping to guide their children, Dr. Miller wrote ‘How to be Pre-Med’ with both students and parents in mind. 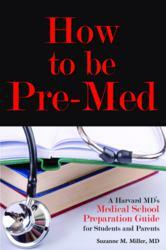 ‘How to be Pre-Med: A Harvard MD’s Medical School Preparation Guide for Students and Parents’, published by MDadmit, is available now from Amazon: http://www.amazon.com/How-Pre-Med-Harvard-Preparation-Students/dp/1936633558/ and Barnes & Noble: http://www.barnesandnoble.com/w/how-to-be-pre-med-suzanne-m-miller/1114583552?ean=9781936633555. 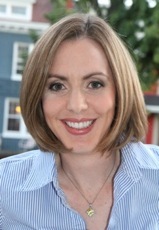 Dr. Suzanne M. Miller was raised near Washington, DC and studied history and science at Harvard College. While attending Harvard Medical School, she began admissions consulting as a Pre-Medical Tutor and then Co-Chair of the Eliot House Pre-Medical Committee. After receiving her MD, she trained at Stanford University in Emergency Medicine. Dr. Miller now splits her time between Washington, DC and New York City working as an emergency physician and running MDadmit, a medical school admissions consulting service. She is proud to announce the start of MDadmit Medical Admissions Bootcamps in 2013. Dr. Miller also enjoys teaching, traveling internationally, and serving as a physician for Racing the Planet adventure races, activities that have allowed her to make footprints on seven continents. Please find Dr. Miller's bio highlights and awards at http://mdadmit.com/who-we-are and press page at http://www.mdadmit.com/press.